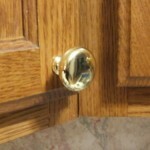 Indy Install Service can install your new cabinet knobs or pulls. Pulls are also referred to as “handles”. Just show us where you want them installed and we take care of the rest. We can even help you decide the best location. Next, we mark the exact location, drill the holes, attach the knobs or handles and clean up the mess. 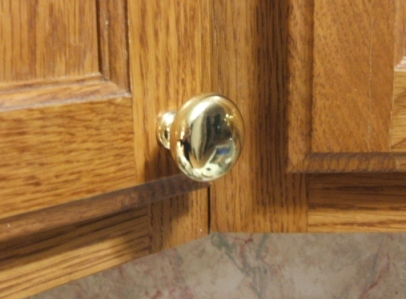 We even install cabinet knobs, pulls on the weekend! Not everyone can take off work to have their cabinet hardware installed. You also don’t have to worry about leaving a key under the mat, giving out your garage door code or asking a friend to let a service technician inside. We make it easy on you and your pocketbook. Styles range from basic to the unique. Your local home improvement store has a few styles to choose from but if you want some real variety, try one of these online merchants. Do you already have pulls on the cabinets? If the answer is yes, make sure you choose new pulls with screws the same distance apart as the ones you now have. You don’t even have to take the handle off of your cabinet. Just open a door or drawer,take your tape measure and check the distance between the screws. many more drill centers are available. Read customer reviews on RateLobby!